Toshiba to introduce Honeycomb OS along with ICS update. Toshiba has decided to delay the launch of the Android 4.0 Ice Cream sandwich update for the Toshiba Thrive and Toshiba Thrive 7 tablets. However, it’s still not clear the reason behind its delay. After this news, the tablet owners have received a major setback as they were expecting the Ice Cream Sandwich update this summer. They also guaranteed to boost up the android experience by adding phone capabilities, providing fixes to known issues and introducing an striking new graphical user interface. There are a lot of rumors surrounding the delay of the ICS update. 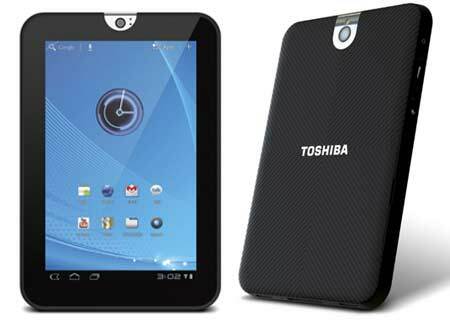 It is said that Toshiba’s tablet PC has many bugs in it and also it has some compatibility issues. Others say that the ICS updation is of less priority at this moment for them and they might be busy with some other things. Everybody is expecting to see the changes that the Ice Cream Sandwich would bring to the Toshiba’s tablet as Google Nexus 7 tablet will be also launching their Android OS known as Jellybean next month. The Toshiba Thrive and Toshiba Thrive 7 will get their Android 3.2 replaced by Honeycomb OS very soon.